Several commercial HTML editors for Mac are available in the market, with prices ranging from less than $30 to as high as nearly $300. However, some of these commercial applications have their free versions, which, although somewhat limited in their functions would still be able to create great websites, web applications and other programs. It is just a matter of choosing the right one for you needs. And with the free versions, you can download and try as many as you want until you find which program is the easiest to learn, has all the features that you require and allows you to be in control of the codes that you are writing. Take a look at some of the free HTML editors that would be suitable for different types of users, from beginners to advanced programmers and developers. 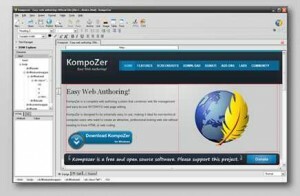 KompoZer is a WYSIWYG HTML editor that is based on NvU, which was discontinued. The software is a project of Sourceforge and is therefore an open source program. This is one of the best free editors to newbies. Even without too much technical know-how, anyone can create a good website without even prior HTML knowledge. The software includes tabbed editing allowing the developer to work on several pages. It also includes file management, allowing the designer to upload and edit files sent to a web server. The last stable release of the program was in 2007. The beta version that was released on February 2010 is KompoZer 0.8 beta 3, using Gecko 1.8.1. One of the attractions of the software is its editing capability. It also permits split code-graphic viewing as well as direct code editing. The interface is so simple it is easy for a newbie to format tables, forms, paragraphs and headings. Amaya is a project of W3C or the World Wide Web Consortium. The program is tops in accessibility and standards compliance. Users of Amaya are able to author and browse web pages, which facilitates copy and paste operations from other website pages and easily create links. 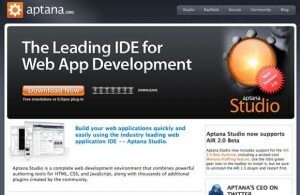 It has a built-in server that enables the designer to upload web pages seamlessly. The software also functions as a web browser thereby allowing the designer to validate the HTML codes as the building of a website progresses. It facilitates the viewing of the tree structure of the web documents being created. Another good thing about this editor is that it is already 100% conformant with W3C standards. 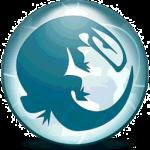 If you are looking to learn one application to create web designs, SeaMonkey is a good choice. It is a project of Mozilla and integrates a suite of Internet applications. It has its own web browser, email client as well as a web page editor. It likewise includes an IRC chat and news group clients, a CSS validator and an embedded FTP. It’s a practical solution to someone who is new to web design and HTML encoding. With its built-in Mozilla web browser, testing web pages as these are created is very fast and easy. 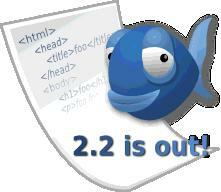 SeaMonkey is an HTML and a WYSIWYG editor. Tabbed editing makes it easy for a designer to work on multiple pages simultaneously. 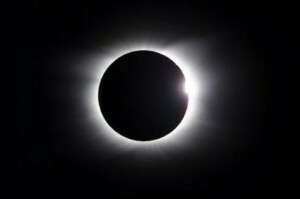 Eclipse is a bit more complex because it is a plug-in HTML editor for the Eclipse 3.0 or higher web development software. It is used as an HTML, XML and JSP editor with the main program. This is more suited to people that do a lot of encoding using various languages and platforms. There are four download packages for Eclipse and the built-in Eclipse HTML editor, created for Java EE, C and C++, Java IDE and Eclipse Plug-In. The best one to download for those not too familiar with developer programs should download the Classic package. This includes all the source code, the incremental compilation, the Plug-In Development Environment as well as Eclipse Rich Client Platform. The Eclipse HTML Editor is found in the plug-ins folder and labeled tk.eclipse.plugin.htmleditor_2.0.5.1 and should be dragged and dropped into the main Eclipse software program folder once unzipped. Bluefish is an open source project. It is user-friendly for a beginner and could be the best friend of a web developer who is in need of a powerful HTML editor and is adept at using several programming codes and scripts. It is a full-featured multi-platform program that works not only with Mac OS X but also with other desktop operating systems such as Solaris, Windows, Linux, Open BSD and FreeBSD. Bluefish has plenty of features suitable for demanding programmers, with auto complete, spell checker that is code-sensitive, and works with many languages such as PHP and CSS, aside from HTML. Other features include auto save, project management and snippets. It works best for someone who is a code/web editor as it gives so much flexibility for a developer to write codes. 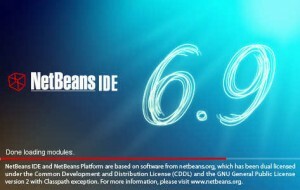 One of the top choices for free HTML editor is NetBeans. 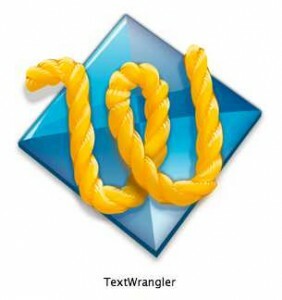 While it used to be a Java Editor when first released, it has progressively developed to be a mighty text editor for writing scripts for the web. It is also compatible with the latest versions of Windows. It supports XHTML and HTML, version 6.5 and later of PHP, CSS, Java SE, JavaFX, Java ME, CC++, Ruby, Web and Java EE among others. NetBeans is not for a newbie. It may even look intimidating for intermediate developers but after mastering it, the end product is a one with a professional look and touch. It is a Java IDE that works beautifully to create robust applications for the web, despite its steep learning curve. The version control that is included in the application is something that web developers and JAVA programmers are sure to love. Most web developers agree that Komodo Edit is the best XML editor that is free. Not only does the application include many fantastic CSS and HTML development features, there are extensions available so a developer could add other languages and features such as special characters. The code base is from Mozilla and Scintilla, sharing many features and support for Perl, Python, Ruby, PHP, SQL, CSS, XML, HTML, YcL and Smarty. It is not the best application if you mostly use HTML but if you are using XML, this is a great choice. Worst compilation ever… you can easily get Sublime Text 2 for free, as long as you need with the nag screen each x saves. Text Mate 2 is now open source. Adobe is working on Brackets, which is free and open source… all of them are much better than most of the IDE you post here as they are only code editor, not full of bloating fonctionality that you most of the time don’t use.